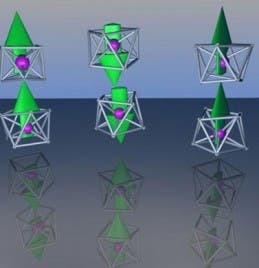 A proposed assembly of FeMg8 magnetic superatoms where the directions of magnetic moment are indicated by arrows (credit: Victor Medel/VCU) A team of Virginia Commonwealth University scientists has discovered a new class of “superatoms” — a stable cluster of atoms that can mimic different elements of the periodic table — with unusual magnetic characteristics that may have applications in spintronics.n The team examined the electronic and magnetic properties of clusters having one iron atom surrounded by multiple magnesium atoms.The team found that when the cluster had eight magnesium atoms, it acquired extra stability due to filled electronic shells that were far separated from the unfilled shells. Researchers at Columbia University have found that older people who regularly exercise at a moderate to intense level may be less likely to develop the small brain lesions (infarcts) sometimes referred to as “silent strokes.” The researchers worked with a sample of 1,238 people who had never had a stroke. Participants completed a questionnaire about how often and how intensely they exercised at the beginning of the study and then had MRI scans of their brains an average of six years later, when they were an average of 70 years old. A total of 43 percent of the participants reported that they had no regular exercise; 36 percent engaged in regular light exercise, such as golf, walking, bowling or dancing; and 21 percent engaged in regular moderate to intense exercise, such as hiking, tennis, swimming, biking, jogging or racquetball. 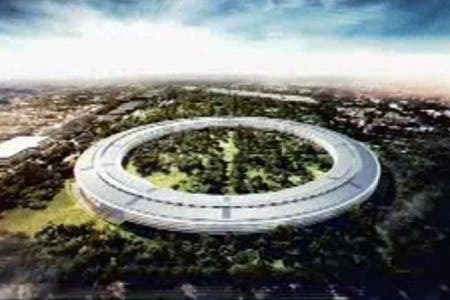 Apple plans to build a new campus with a circular building that looks like a spaceship, big enough to house 12,000 employees, scheduled to open in 2015. The campus, a former Hewlett-Packard facility, isnear Apple’s existing headquarters in Cupertino, California, will generate its own energy. The new office building will be of "human scale" size, about four stories high, Jobs said. About 12,000 employees in one building "sounds rather odd," Jobs said, but said that the campus is necessary to keep up the company's pace of growth. "Apple's grown like a weed and as you know, Apple's always been in Cupertino," Jobs said. "The campus we'd like to build there is one building that holds 12,000 people." It sounds crazy, but tech companies have been patenting physical gestures for almost two decades now. In a world ruled by touchscreens, Kinect, and Guitar Hero, these businesses don’t want people making certain gestures without paying for it. A scientist in India has managed to develop an injection for men that has so far proven to be 100% effective and completely reversible with no side effects. The injection is called RISUG, which stands for "reversible inhibition of sperm under guidance." Let's just get the uncomfortable bit out of the way first: you can't just be injected anywhere, the doctor has to stick a needle into your scrotum. Twice. Yeah, bad times, but you'll deal, and here's why: after two tiny injections taking all of 15 minutes, study after study has shown that the injection is 100% effective at preventing pregnancy. You won't suffer any side effects at all, it lasts a minimum of 10 years, and it's completely reversible with another few injections.